Platinum Vintage Inspired earrings. 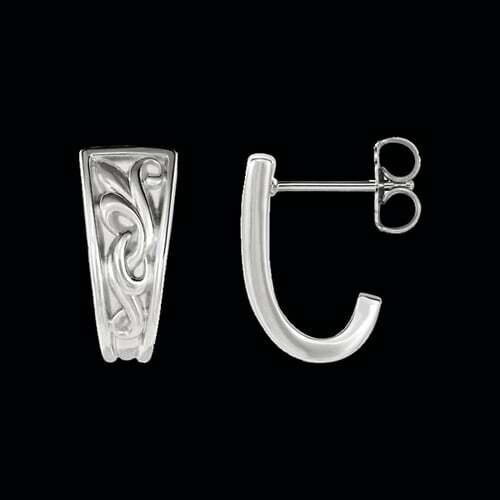 Very stylish J-hoop earrings measure 14.5mm in length by 7.2mm across. Our video (although in yellow gold) gives you a better idea of there beauty.